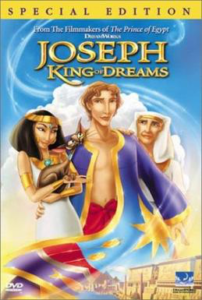 stories this fall at some point and we are showing the animated movie Joseph: King of Dreams. We will offer a light supper of pizza and salad at 6pm, with the movie starting at 6:30pm. Join us!